In the 28th century, the former International Space Station has reached critical mass, making it too dangerous to keep in Low Earth Orbit. Relocated to deep space, it became Alpha, a space-traveling city inhabited by millions of creatures from thousands of planets. 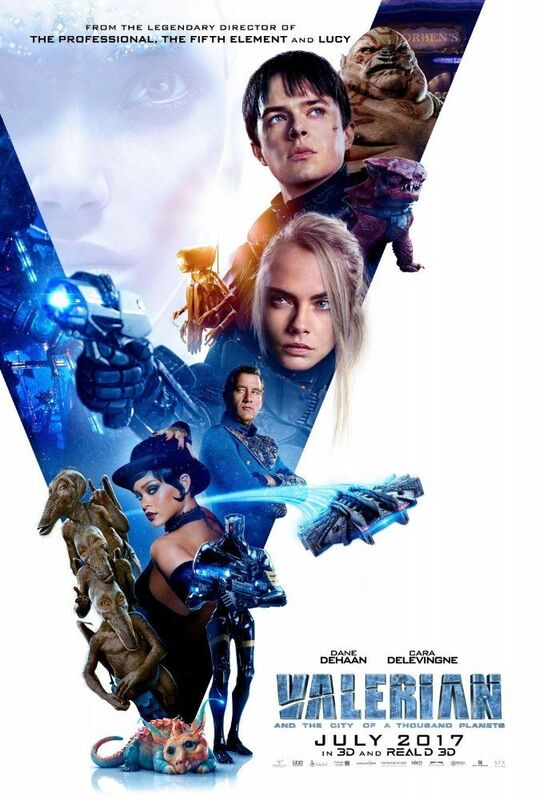 A special police division is created to preserve peace through the galaxy, including happy-go-lucky Major Valerian and his partner, no-nonsense Sergeant Laureline. En route to a mission, Valerian dreams of a planet where a low-tech humanoid race lives peacefully. They fish for pearls containing enormous amounts of energy, and use small animals to replicate them. Wreckage begins plummeting from the sky, triggering an apocalypse. Before the explosion reaches the surface, a young princess manages to send out a telepathic signal. Read more on Wikipedia.